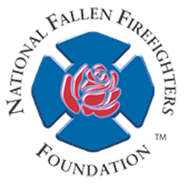 RVFF-Cancer-Relief On January 1, 2018, the Roanoke Valley Firefighters Foundation began a new program to assist Firefighters from our covered localities, who are undergoing treatment for a cancer diagnosis. The program covers active firefighting personnel, who are in the treatment phase of their cancer diagnosis. 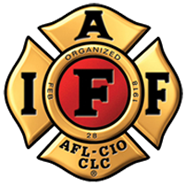 ALL cancers are covered, and firefighters may apply one time for some financial relief toward medical or living expenses to the program. There is a PDF fillable application with guidelines to the program that the foundation can send by email to any personnel requesting assistance. The application and guidelines will be posted up on this website in the near future. Applications can be returned to any RVFF Board member or sent as an attachment to rvff@earthlink.net. All information contained on the application will be kept in the strictest of confidence. For more information concerning the Cancer Assistance Program, please contact the RVFF at 540-339-9391 or rvff@earthlink.net. This program was made possible through donors such as The Foundation for Roanoke Valley, Mission BBQ, memorial donations in memory of Firefighter Kali Hurd and many other private donors. » RVFF RAISES $8,975 ON RVgives 24-Hour DAY OF GIVING!